Afro soul diva, Simisola Bolatito Ogunleye walked her way into the hearts of many music lovers with her breakthrough track, ‘Tiff’ in 2014. This feat was followed with a streak of successful singles, leading eventually to the birth of her album, ‘Simisola’ that was released late last year. Thrilled with the magic of live performance, Simi hops on the train with fellow musicians (Adekunle Gold and Praiz) at this year’s ‘100% Live Music’ concert designed to showcase artistes’ performance skills at its very best. 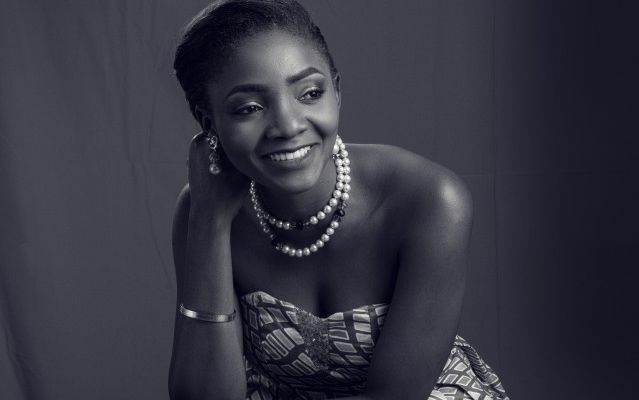 In this chat, Simi takes us through her plans for the concert, sheds light on her early days and debut album ‘Ogaju,’ her newly signed Opera Mini ambassadorship, as well as some of the factors influencing and controlling live music in Nigeria. A feminist, she voices her stand for women and equality in the music industry. Enjoy it. Your album Simsola came out last year, how was the reaction to it? It was incredible, I’ve been so thankful since, because I know we put a lot of work into it and people just accepted it and it’s been… I’m just really glad because before now, I had a gospel album in 2008. This (Simsola) is not my first album, it is my first mainstream album and you know how hard it is to put together a body of work that people would appreciate, to have that kind of response just blew me away. What sort of music would you say you do? You are one out of three artistes to headline 100% Live Concert, what does this feat translate to for you? I’m super excited because the people that I’m headlining alongside are musicians that I respect and I’ve worked with, and I am excited to be part of that lineup, and I am the only chick, so it is also flattering. I’m looking forward to having a good time doing live music, by myself and with the other guys. What is your concept of live music especially here in Nigeria where artistes are notorious for using backtracks? I think it’s not something that we exploit as much as we should, I think it’s definitely getting better, people are doing more and I am in love with live music. I think that live music is an opportunity to recreate something that already exists. As a musician, especially as a writer, the one thing that I love to do is create. I love to create something out of nothing, but now you are making something out of something else (live music). To be able to do that and give to people that love you and respect your music… I think it’s incredible and I can’t wait. In the industry, a lot of people don’t like performing live. What’s your take on this? Sometimes it’s technical issues. I don’t always perform live: sometimes you go for a show and they don’t have a provision for a live band or anything of sorts, so, you have to use your backing track, I mean, you are still singing live, but you are doing it on music that has already been made. Sometimes, you go somewhere and you can’t sing live because the sound (system) is not that great, and if you sing live, it goes against you. And some people probably don’t like it, I don’t know? I can’t speak for anybody else but I feel like these are some of the reasons I haven’t performed live and I feel that’s why some people don’t. You’ve been in the industry for a while now and your level of growth is astounding, what do all these mean to you? Did you ever expect to be on this level? When people ask me that question, I laugh; because I think that when people put their hearts into something they believe in, the best can come out of it. I didn’t expect it in a cocky kind of way like ‘oh me, I will blow na!’ I expected it because I loved it, so I wanted it, so I hoped for it. I’ve been singing for a long time. I knew I could sing when I was eight or nine, but it was just like… ‘Awwww, you have a nice voice ‘ – but I knew that I loved music that was definitely not influenced outside of me, because I didn’t grow up with a lot of people who were into music, my parents were not very musically inclined. I just enjoy writing, I remember writing my first song when I was 10. I just enjoyed the process, it made me so happy, and then when I was in church, I joined a group called, Outstanding, and we used to sing, write, dance. We would normally have rehearsals twice or thrice a week, I think it was there I honed my passion for making music; music was a part of my life pretty early. Were your parents supportive or did they feel like it was a phase in your life? Oh no. Nobody has ever been like, ‘do it for a while’. Even when I finished school, my mum at first… I never blamed her, it’s just the way of here; you worry about people you care about. She said, ‘are you doing music as a hobby or maybe do something else then go back to music, at least start something first’. I’m like… ‘That’s not going to be how I am going to operate, because I don’t want to do anything else’. So, when I was done with school, I didn’t go to any interview or look for any job, I just put all my energy into music and I like to think that I’m very strong; I just put all my energy and time into music and spent all my time writing, trying to look for people that could help me. I was trying to be a better artiste. On creative direction, Simsola was solely on your terms, how was it different from your first album? The first one was called, ‘Ogaju’, a gospel album completely produced by Samklef. I remember I used to sleep funny because the studio I used for recording had a club beside it, so at night while they were doing their thing, I’d just be there doing my thing and I was doing gospel music. It was quite a period but I enjoyed it because I was happy to be doing that. I think I recorded that in my final year at school, so nobody was telling me what to do then, because I wasn’t signed to a record label; it was just me and him (Samklef). We were partners doing that project. So there wasn’t any pressure in producing your music then? No, I just did what I wanted and then this one (Simsola) as well. One thing that I will always be grateful for, especially with my label, is that no one is trying to take my credit from me. I think that’s one thing I like the most; money doesn’t drive me. I still want to have the fine things in life and that’s why you will never see me brag that ‘I have money and I can buy your family’. What drives me for doing what I do right now is my passion. I simply love music and if anyone tries to take that away from me and tries to tell me how to make that music… it will drown me, it will make me go crazy. And one thing they’ve never tampered with is telling me what kind of songs to make or not to make. Worse case scenario is I give them a song; they can say they don’t like it, but I don’t think that has happened before. Do you write all your songs? So far, yes. Meaning I am open to the future. The person I want to write songs for me is my producer, but he doesn’t like writing for me. He says I’m hard to write for; his name is Oscar. You are hard to write for because you are…? I don’t know why, but he’s one of the incredible writers that I know, so I wished he would. He has assisted me nonetheless; I think on ‘Take Me Back’, he gave me the verse. You are the new Opera Mini ambassador, how did that happen? I think they just did their research and they liked what they saw and they scoped my personality and brand and felt I was the perfect fit for their brand. I am thankful for that, because I love to be myself. I don’t know how to pretend or act parts over and over again, I can’t keep up and for someone to see me as I am and feel like I’m a great fit, that’s very flattering. In the industry right now, do you think women are undervalued for their roles? How do you relate as a female artiste competing with your male counterparts? I don’t know about payments, but I don’t think that women are given as many opportunities to showcase themselves. It’s hard to find a female artiste that is just average, making it in the industry, you have to do double work to get half the results. You have to work hard; you have to prove yourself. Nobody really pays and they’d be like, ‘she’s a girl’. When I started doing mainstream music, at first it didn’t hit me, then it hit me; it was getting to me first for like a couple of weeks, but the thing is, I don’t like things pulling me down. I am an optimistic realist; I accept things as they are. I understand things as they are, but I like to make the best out of it. Yes, I am for women’s right, empowerment of women and the right to fair treatment and equal access to opportunity as men. There is a lot going on right now in your career, what about your relationship? I am asking you though; you said what about relationship? I don’t like to talk about my relationship. I never have and I am not going to start today.